With M.Phil in education and pursuing my education as a PhD Scholar in field of education with the specialty of Educational Research and Research Writing along with a professional...Read moreWith M.Phil in education and pursuing my education as a PhD Scholar in field of education with the specialty of Educational Research and Research Writing along with a professional experience of over 5 years in running several projects relating to research and publication , i feel immense confidence in achievement of deadlines and targets with best work quality any client can expect. Very pleased to have worked with Neelam, during our collaboration she was very engaged and patient. I definitely will come back for future projects. I had to enquire about progress 3 days after deadline, and she promised to deliver the following day, which she did. Level of plagiarism was high, so I asked her to redo, but even after that the quality of work was far below expectations. I'm sorry to say, but I wouldn't use again. Project was ended on mutual consent. 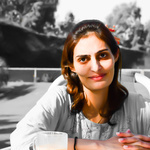 Neelam was communicative, proactive and sincere. When she realised upon initiation the actual depth of the project and how it required specialised input she was honest enough to end it mutually. Will work again with her in future projects. very fast refund process nice. She did exactly what I needed with good quality of work. She is professional and hard worker. Amazing work! Great attention to detail, fast responses, highly qualified! Would absolutely work with again!! !